Is it Friday yet? Rats, I am ready for this week to be over. 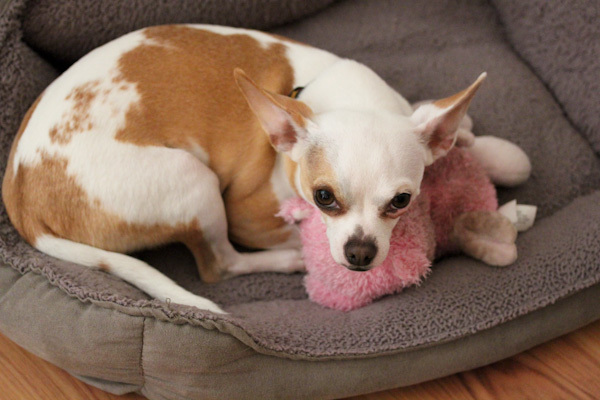 Poor Miko has been feeling neglected with me being a little burned out after busy days at work. And I haven’t been feeling too creative in the kitchen this week, there’s lots of stuff I want to do, like dehydrate more kale chips, grow more sprouts, and juice more, but I just haven’t been able to make time for it this week. 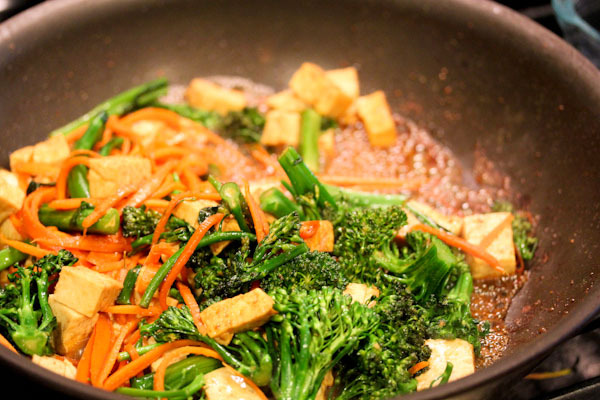 I threw together a simple tofu broccoli stir fry dinner tonight seasoned with sesame oil, tamari, ginger, and garlic. Nothing too exciting, but fast and easy. Last night I tried an experiment for dinner that actually worked well. I still have problems finding recipes for raw cauliflower and broccoli I like, especially raw cauliflower because it can be pretty harsh to digest. But I did try a marinade recipe that came out very tasty. Mix all ingredients together and place into an air tight container and refrigerate over night. 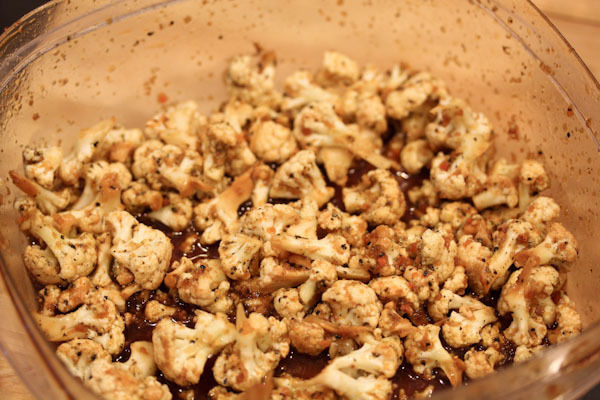 Drain off extra marinade, can be used as a salad dressing, and serve and enjoy the cauliflower. Makes 2-4 servings. 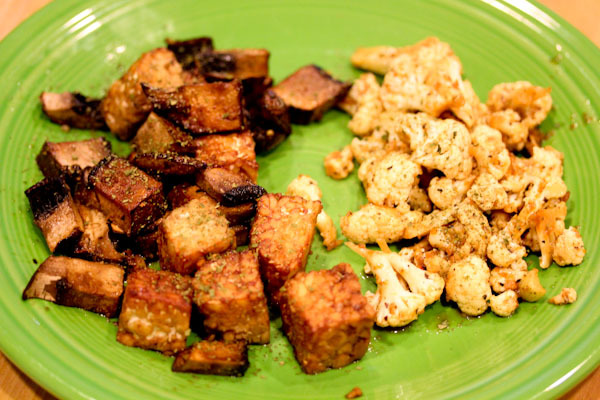 I tried this Broiled Tempeh recipe to go with the cauliflower. For an interesting looking, but good dinner. 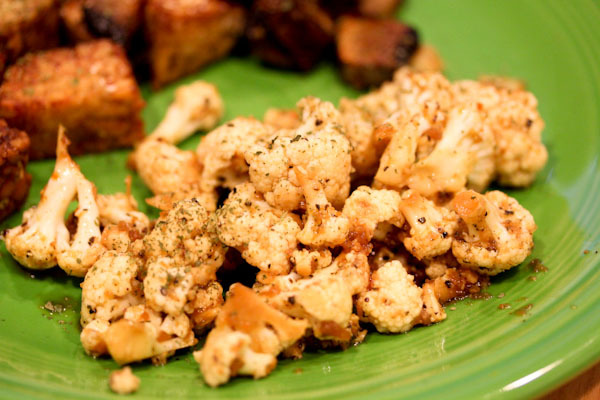 The cauliflower was still crunchy, but absorbed the flavors of the marinade nicely for a savory and tangy crunch and the smaller pieces were easy to chew. 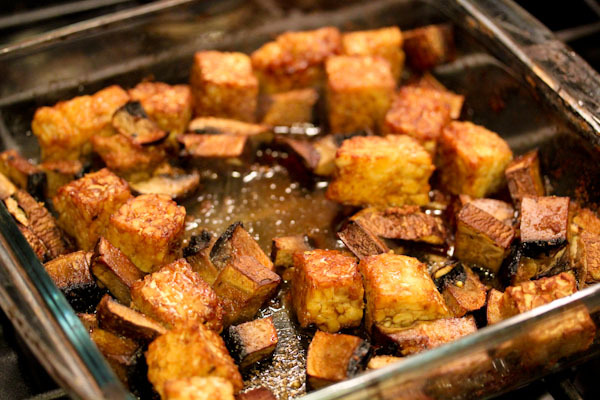 The broiled tempeh recipe came out good too, the tempeh chunks got nicely crispy edges and absorbed a lot of the flavors from the broiling process. The mushrooms were just okay in the recipe, I got a little mushroomed out halfway through and would probably cut the amount in half next time and add another veggie. Oh, you’re braver than I am. Much as I love raw, too many unpleasant experiences with broccoli and cauliflower for me to keep trying. This week seems super long to me too! And making kale chips seems to be forever on my list of things I don’t quite get to. Raw broccoli and cauliflower are not easy to work with, I can usually only take them blended into a raw soup. Ugh on crazy weeks, I haven’t had as much time to post as I’d like this week either! I personally like the taste of raw cauliflower, but this sounds much more appealing! 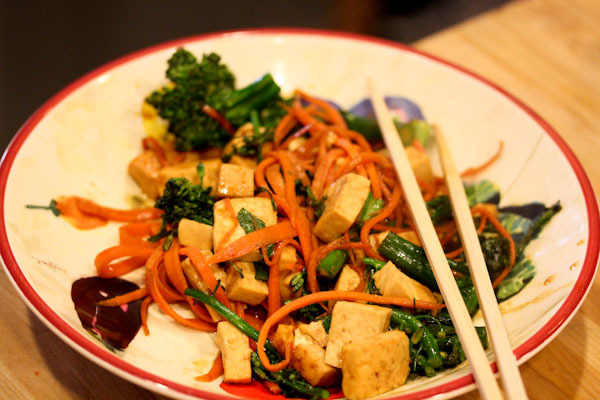 Apple cider vinegar is great- it can make nearly anything palatable. I like the taste of raw cauliflower too, but the texture and digestion can be a challenge for me. The apple cider vinegar adds a nice tangy flavor to it. I tried a recipe for raw cauliflower tabbouleh recently that was awesome (just search google using those search terms) –I just have to reduce or eliminate the raw onion and garlic (I sub in some powdered dehydrated onion garlic otherwise it is way too strong.) Next time I’ll take the food processor outside though — cauliflower reeks when you process it. If I can get through that part, I love the taste of it chopped small as “rice” or “couscous”. Very interesting on the tabbouleh, I will try that. Thanks!